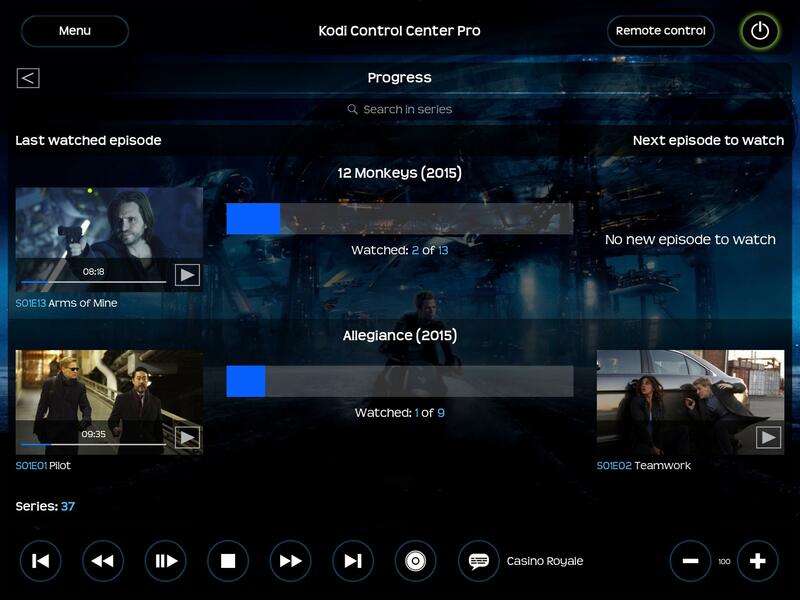 After written several iOS apps including an XBMC remote control called Consilium B: XBMC remote, I wanted to start a new project again focussed on Kodi. - Progress: keep track of your series. 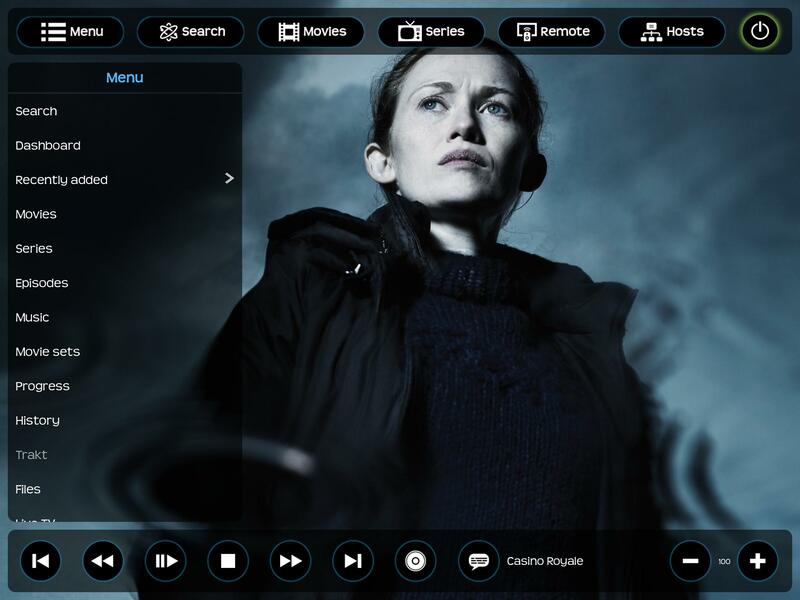 See in an instance your last watched episode and the next one to watch. 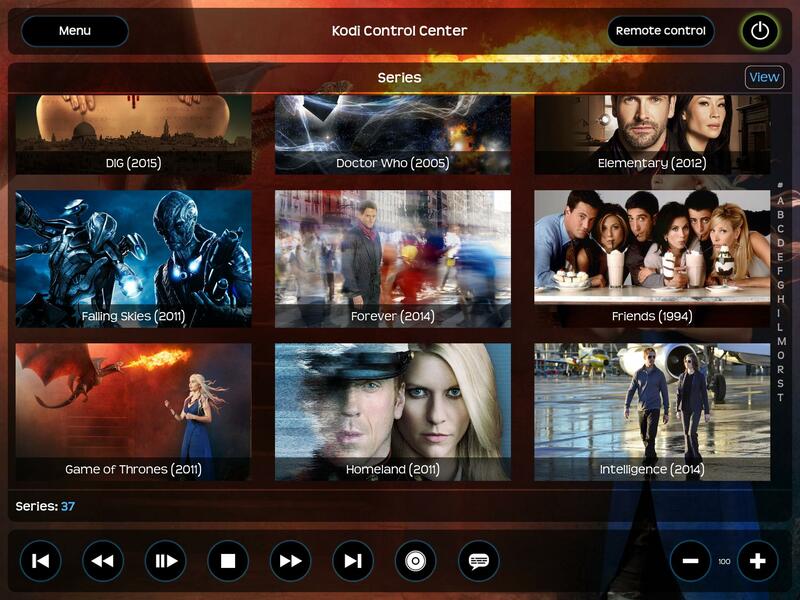 - History: this option gives you a calendar overview of the movies and episodes you have watched and when exactly. 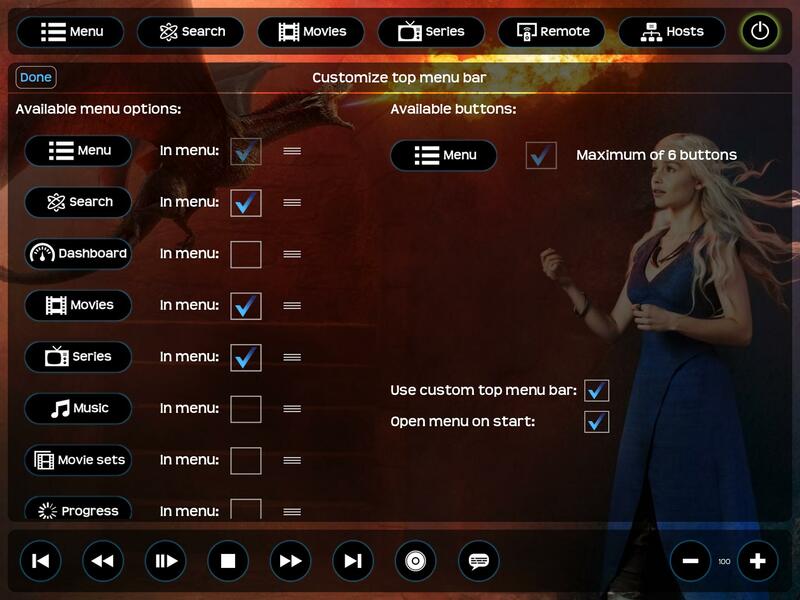 - Customizable top menu bar: choose which buttons and the order you want. 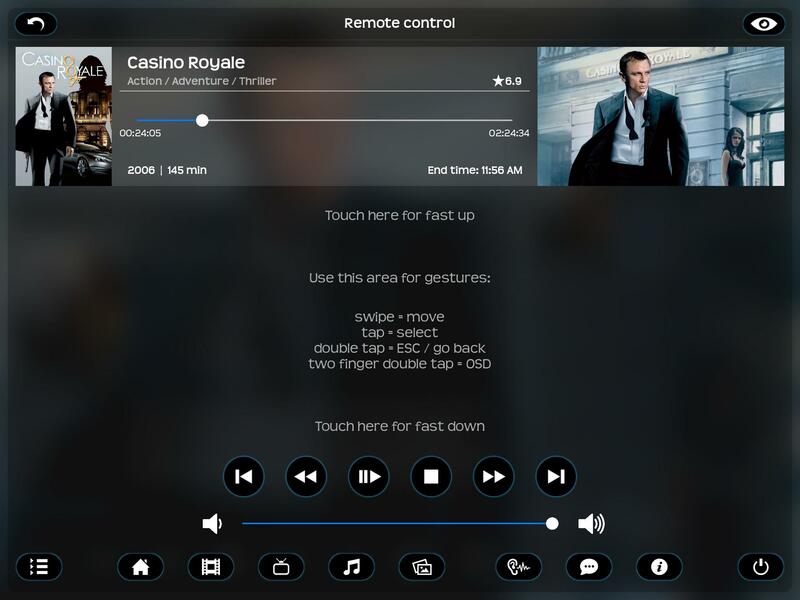 - More advanced remote control views: Different views are available and you can customize your own user command menu with over 175 Kodi commands. - A more detailed dashboard (popular movies, series, actors, birthdays, box office numbers, movie news and more). 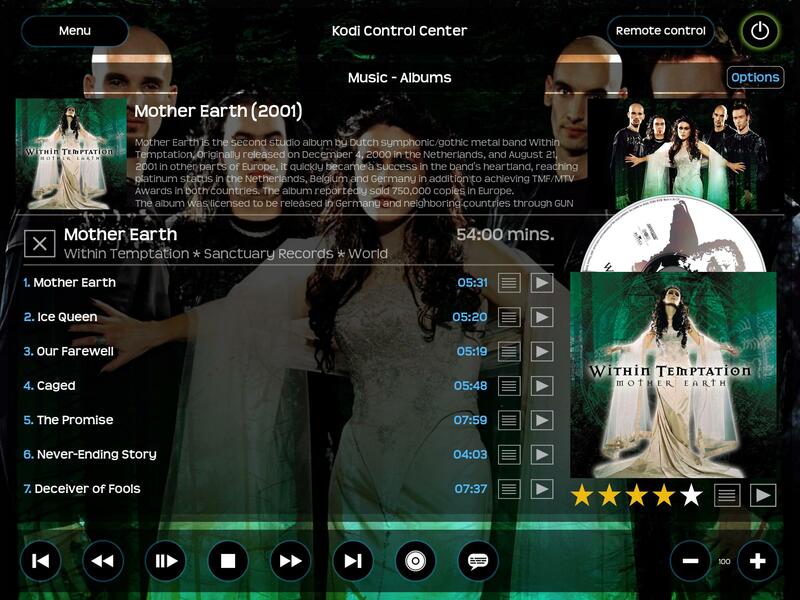 - TV Tunes support - use the add-on TVTunes to download the series tunes and Kodi Control Center will play the theme when the series is selected. 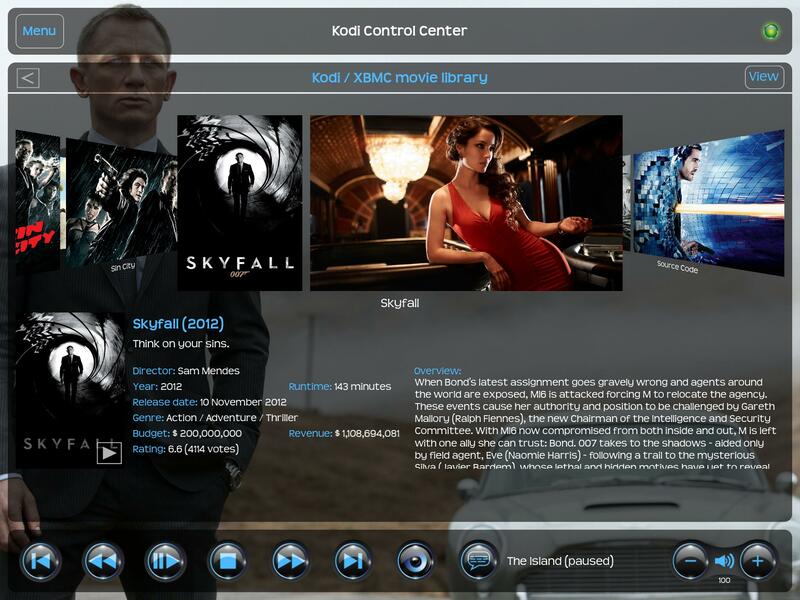 - Search in Kodi: search for movies, series, episodes, actors, etc. in your database. - Cinema Experience support: start your movie with this great experience. - Library Management - edit/delete items in your library. 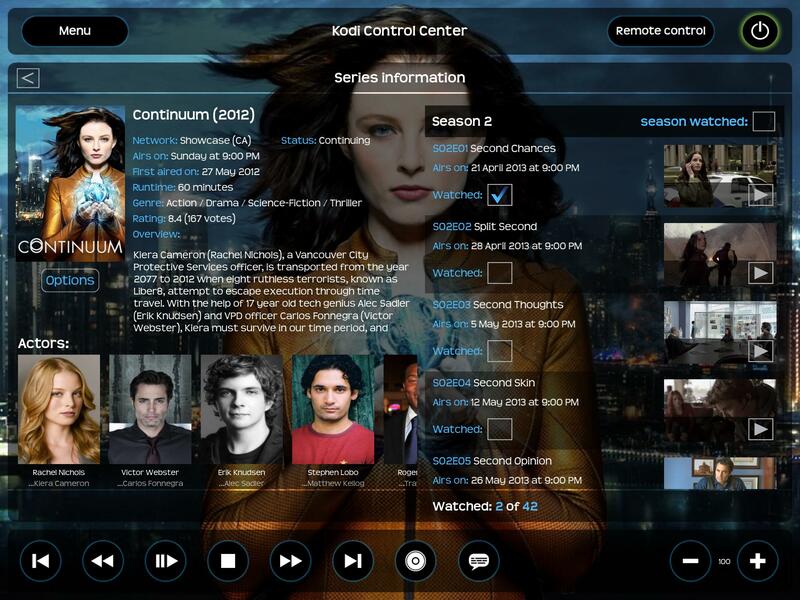 - Offline caching - when enabled Kodi Control Center will store the returned Kodi/XBMC information and use it when offline. - Caching: enable the possibility to cache data (not for all options available). 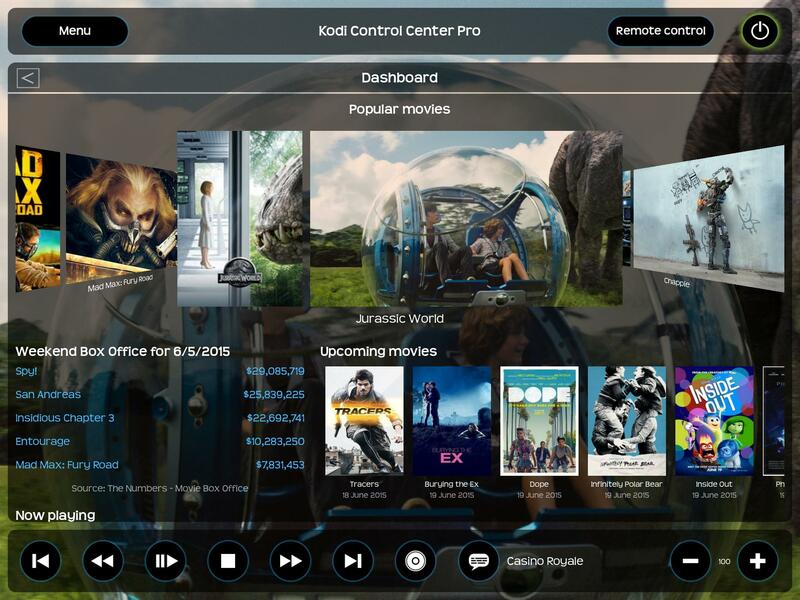 - Trakt support - login your Trakt account and see your Trakt library in Kodi Control Center. You have the possibility to change the status (watched/in collection/watchlist), manage lists (create/delete/edit), add items to your lists, see your personal calendar, trending movies/series and more. I hope everyone knows that an App really takes a lot of time and has thousands lines of code. I am also human, so there could be some bugs. Don't immediately write a negative review on the App Store. Please use the e-mail option within the App or use this forum. If you like the app, I would appreciate a positive review on the App Store and of course a Facebook page like. 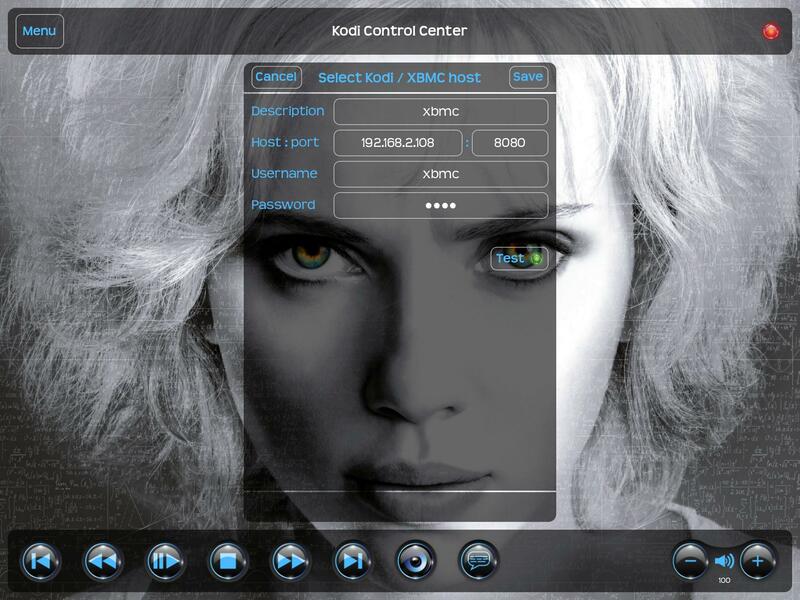 Go to Facebook.com/KodiControlCenter. Ok, but how do you see this in the app? like an overview of the charts? Yes the app could show a list of the best songs by an artist. (2014-11-10, 11:24)zag Wrote: Yes the app could show a list of the best songs by an artist. Connecting to the library is already done and I've been quite busy with the first view. Needs better buttons in my opinion. (2014-11-17, 13:28)zag Wrote: Needs better buttons in my opinion. The buttons on the bottom for back rewind, stop ect. They look a little 3d where the rest of the interface is flat. (2014-11-17, 14:30)zag Wrote: The buttons on the bottom for back rewind, stop ect. True...I hope to replace the Menu button (and all the rest of the same kind) with a nicer one. For what I've read the youtube iOS app doesn't support iOS 8 action extensions. It uses it's own action sheet. (2014-11-23, 20:45)rschiks Wrote: For what I've read the youtube iOS app doesn't support iOS 8 action extensions. It uses it's own action sheet. Ah that's a shame, guessing it wouldn't be possible without a jailbreak? What about from Safari?